Too Posh to Scoop the Poop? A three-week long campaign to save a 100-year-old palm tree in Hopetoun Grove South Yarra finally came to an uneasy but happy hiatus yesterday. The face of Stonnington’s streetscape is changing as Citipower guts tree plumes to make room for overhead power lines. New State Government regulations require tree canopies to be pruned to a distance of two metres from all power lines or the tree to be removed. 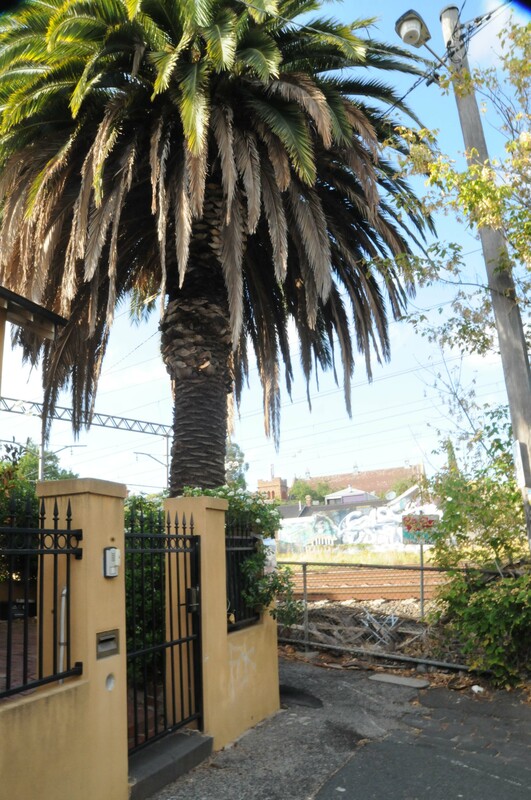 The palm tree cannot withstand such heavy pruning so Citipower has proposed its removal. Sarah Murphy, a resident of Hopetoun Grove said the palm tree was not only very old but also the home of many bird families including a pair of kingfishers and several rainbow parrots. “This is the last tree left in our street that still looks attractive and prevents the train line just looking like an eyesore,” Ms Murphy said. Citipower said in a statement yesterday that they regret the harsh pruning and removal of the trees but as the new regulations only call for the power lines to be inspected every two years instead of the previous once a year it meant the required distance from the power lines at the time of the inspection also increased to two meters instead of one. Citipower has agreed to only lightly prune the palm tree this time which will give it two years reprieve until the next inspection comes around. “We will resume the debate next time unless a more permanent solution has been found by then, such as placing the power line underground which is less antiquated and a more sensible way,” Ms Murphy said.